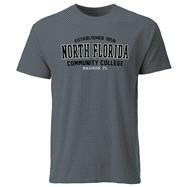 100% Cotton, jersey t-shirt with North Florida Community College collegiate design. 34 oz., Classic Tritan water bottle. Dishwasher safe. 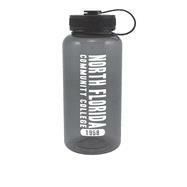 35 oz., Classic Tritan water bottle. Dishwasher safe. 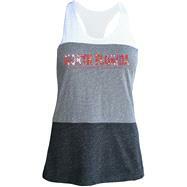 50% Polyester/ 38% Cotton/ 12% Rayon, colorblock tank; Featuring 'North Florida Community College' across the center chest. 100% Cotton ring-spun jersey ladies fit crew neck t-shirt with NFCC design. 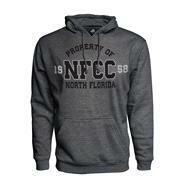 60% Cotton/ 40% Polyester, lightweight pullover hoodie. Features an arch design of "Property" over "NFCC", "1958", and "North Florida". 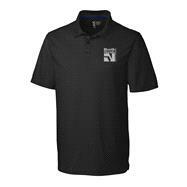 100% Polyester, polo with moisture wicking technology and side vents. 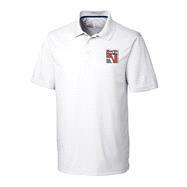 Featuring NFCC's logo on the left chest. 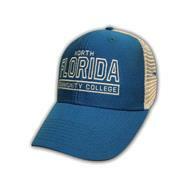 100% Cotton twill - double washed unstructured low profile small fit hat. Perfect for ladies. 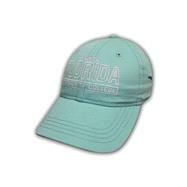 100% Cotton twill front panels and soft nylon mesh back hat with a structured medium profile and Velcro closure.